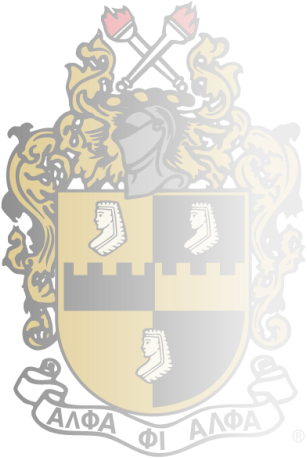 Members of the Fraternity, community, campus, and general public to the official website of the ΠΠ (Pi Pi) Chapter of Alpha Phi Alpha Fraternity, Inc.; seated at Union College in Schenectady, New York. *Brother Deshon Burgess awarded with the Class of 1973 Community Service Internship endowed funding (5.12.16)! *Brother Deshon Burgess unanimously named the 2015-16 Liberty League Men's Basketball Player of the Year! *Brother Deshon Burgess selected to the 2016 NABC (National Basketball Coaches Association) Division III All-District East Team. Please help congratulate the newest additions to the chapter! ​*TWO consecutive years winning Philanthropy Of The Year!! First with a chapter of 3, now with only 2, our hearts are STILL ever mindful of our task...Onward & Upward since day one! *Brother Peters awarded the UNITAS Diversity Leadership Award at Prize Day (5.10.14)!! 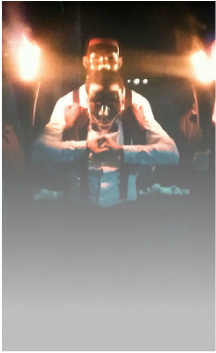 *Brother Peters inducted into the Order Of Omega National Greek Leadership Honor Society AND granted the "Director's Award of Distinction"
*Pi Pi Chapter awarded "Philanthropy of the Year 2013" during Greek Awards! Holding The Light HIGH!! *Brother Alvaro Peters is deemed "Volunteer of the Week" in the Union Chronicle by clicking here. *Brother Joseph Mason is selected first team All-Liberty League. *Phenomenal Males is featured in the Union Chronicle by clicking here. 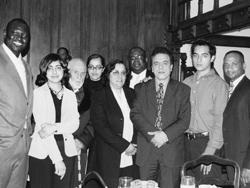 On the 10th anniversary of Brother Omar’s death the ΠΠ Chapter began to develop what would later become a scholarship fund in honor of him. The chapter received support from Brother Mohammad’s family & during the 20th anniversary Black & Gold Ball, Mohammad’s brother-in-law contributed a very moving speech concerning the impact he had in the lives of others. Due to the generosity and determination of our supporters and Brothers alike, as of 5/31/15 the ΠΠ Chapter of Alpha Phi Alpha Fraternity, Inc. has successfully endowed the Mohammad A. Omar Scholarship! As a tribute to the life and legacy of our deceased Brother, students who have been hired for a community service internship but are not satisfactorily reimbursed can apply for the scholarship. If selected, the recipient will receive $2,500 to fund their service efforts. It is our hope that through this endowed scholarship we will sustain opportunities to provide "Service & Advocacy For Our Communities".